The calls for rethinking the way we educate students at the postsecondary level are growing louder. It is clear that tinkering around the edges is not going to help higher education meet the needs of a more diverse student body, a more demanding employment landscape, and a more challenging set of global problems. The important yet small changes made by many colleges around the country, such as pilot programs or training for a sub-set of instructors, have not led to meaningful changes in college completion rates. It is increasingly clear that colleges need to engage in bigger, bolder change that gets to the core of how they engage with students. At the Community College Research Center (CCRC), we have been working with and studying colleges trying to create such change within the advising and counseling space. These colleges have been using technology-mediated advising systems (sometimes referred to as Integrated Planning and Advising Services, or IPAS) to rethink how they deliver supports to students. What we have learned has relevance for teaching and learning and other types of reforms, as well. What we have found is that using technology to do the same thing only faster doesn’t change how students experience college. Instead, colleges need to leverage technology to fundamentally redesign how they deliver services. We and other higher education scholars call this type of reform transformative change, and it includes three intersecting pieces. 1) Structural change refers to changes in college structures, for example reorganizing how advising is delivered or how professional development is provided. 2) Process change reforms how people do their jobs—for example, shifting pedagogical approaches. 3) Attitudinal change refers to how individuals understand their work, such as when they move from defining student success as success in a single course to success in completing college. Any of these three changes individually are hard to bring about, but we have found that each in and of itself are insufficient for substantially moving the needle on student success. Take the case of a college that engaged in a substantial structural advising reform—moving from non-required, first-come first-serve drop-in advising to a mandated system with assigned advisors. This structural change could create improved advising interactions because it provides advisors and students with the opportunity to develop long-term and meaningful relationships. However, if the advisors themselves do not engage in new processes, such as asking students new questions or focusing on long-term goal setting, the student experience and, ultimately student success, is unlikely to change. A similar challenge occurs with reforms that focus on process change. A college may focus on increasing the use of student-centered pedagogies in introductory courses. To do this, it might provide professional development to a motivated cadre of professors who in turn change how they approach instruction in their classrooms. Such change might benefit the students enrolled in those professors’ classes—but without other, structural changes such as ongoing support, longer class times, or incentive structures that privilege such pedagogies, the educational experience of students overall may not substantially shift. What we have learned in our study of colleges engaging in technology-mediated advising reforms is that in order for transformative change to occur, colleges need to be attentive to the redesign of their systems and structures as well as the practices and attitudes of the individuals working within the organization. To be sure, this type of change is difficult. But a number of colleges in our study are making slow, steady, and dramatic shifts towards redesigning the way they support students. The rationale for adopting IPAS and other technology-rooted reforms is not found in any measure of increased “efficiency” but rather in their power to be a fulcrum for transformational change. Investing in technology reforms only makes sense inasmuch as they change the student experience of college, improving the likelihood that they will remain engaged, increase their knowledge, and ultimately graduate. Over the next six months, CCRC will be sharing the results of our study and what they mean for colleges seeking to engage in transformative reform of student supports, teaching and learning, and curricular redesign. Please join us on October 8th at 1pm for a webinar led by Melinda Karp to learn more about moving from change to transformation! 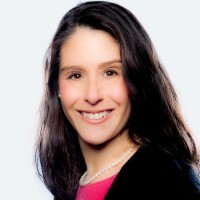 Melinda Mechur Karp is the Assistant Director for Staff and Institutional Development at the Community College Research Center, Teachers College, Columbia University. Dr. Karp is a leading expert on reforms that smooth students’ transitions to college and support them once there. She currently leads a study examining how colleges leverage technology to redesign advising and student support. Dr. Karp holds a Ph.D. in Sociology and Education from Columbia University; an M.A. in same field from Teachers College, Columbia University, and a B.S. in Human Development and Family Studies from Cornell University.